HOUSTON COUNTY – As the ballot boxes from across Houston County began to arrive at the courthouse from the various precincts, so did several issues. First, the vote counting machine was not working and needed to be thoroughly cleaned to function in an effective manner. Once the machine issue had been cleared up, rumblings of irregularities with the ballots began to be heard from the courthouse second floor. The issue appeared to stem from the two local propositions on the ballot. One of the propositions pertained to uncapping the tax rate for the Houston County Hospital District. The other local proposition concerned voters in the Latexo Independent School District who were asked to consider approving a Tax Ratification Election (TRE). In an ideal situation, voters in Grapeland should have received a ballot with just the seven Texas constitutional amendments because the Grapeland area has its own hospital and school district. Voters in the area encompassed by Latexo ISD should have received ballots with seven amendments and the two local positions for consideration. The remainder of voters in Houston County – those in Crockett, Kennard and Lovelady should have received ballots with the seven constitutional amendments and the HCHD proposition. Unfortunately, confusion ruled the day on Nov. 7 and the correct ballots were not sent to all of the correct precincts, according to a person with knowledge of the matter who wished to remain anonymous. 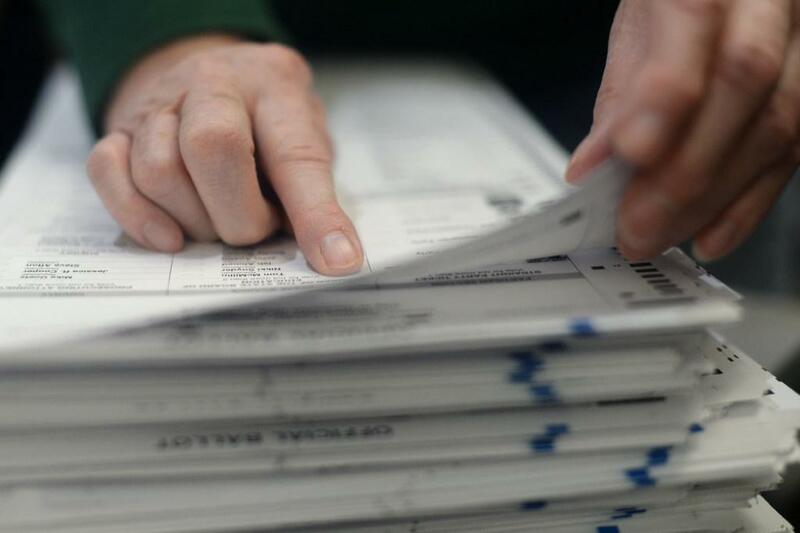 Other allegations include not following the proper procedures for the copying of ballots and a failure to enter potential voters into the county’s database by the Oct. 10 deadline, the source said. These allegations have yet to be confirmed as Houston County governmental offices were closed on Friday, Nov. 10 to celebrate Veterans Day. In an e-mail from Keith Ingram, the Director of Elections in the Texas Secretary of State’s Office, to county clerks, elections administrators and county political party chairs, the procedures for creating emergency ballots was discussed. A meeting of the Houston County Election Commission is scheduled for Monday, Nov. 13. The members of the commission are: County Judge Jim Lovell; Tax Assessor Collector Danette Millican; County Clerk Bridget Lamb; County Democratic Party Chair Sharon Berry; and County Republican Party Chair Joni Clonts.